This morning after breakfast there will be a group transport to the Glasgow airport to catch your flights home. Please note: Depending on weather conditions and circumstances beyond our control, the itinerary is subject to change. We will make every effort to adhere to the itinerary as listed, but your flexibility if alternative choices are made to enhance the schedule, is appreciated. *The exact time and location of the official tour start will be announced closer to travel time. 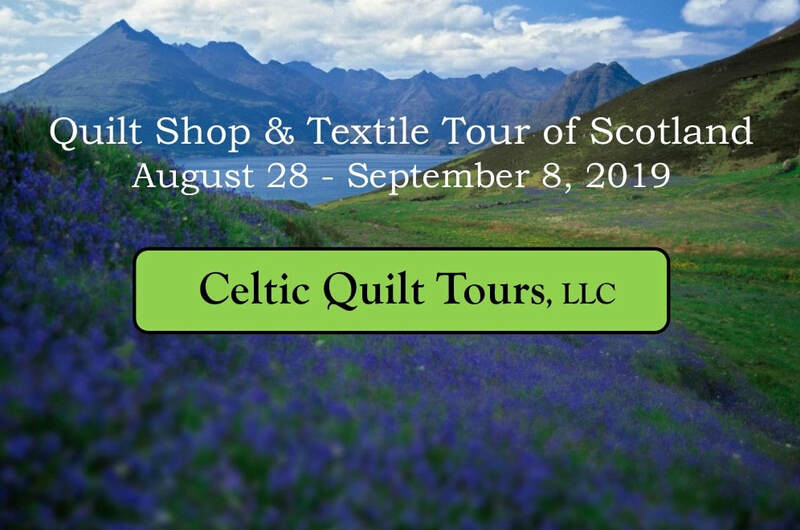 If you choose to arrive into Glasgow ahead of the tour start (highly recommended), Celtic Quilt Tours would be happy to assist you with hotel accommodation for a pre-tour stay.